“Ghana is not developed and we need to do everything possible to develop. 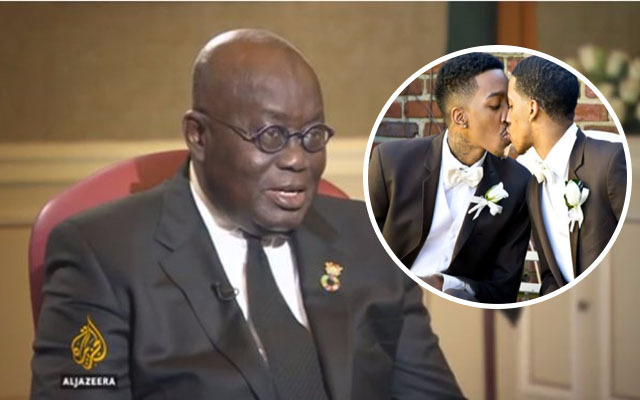 Legalizing homosexuality is not an exception” were President Nana Addo Dankwa Akufo-Addo’s words on legalizing homosexuality in Ghana. In an interview with Aljazeera, the President made it known that plans were far advanced in the legalization process and that nothing could stop it at this time. According to him, Ghana stands nothing to lose but to get a copious sum of money to execute most of his promises.